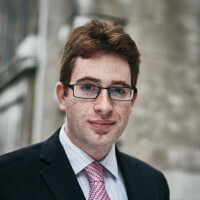 Dr Joel Coles is a senior associate at Powell Gilbert, a specialist IP law firm based in London. Coles has worked on a number of important patent cases before the English courts relating to pharmaceutical, biotechnology and healthcare technologies, including antibody technologies, genome sequencing, therapeutic microarrays, and wound dressings. In addition to representing clients in litigation before the UK Patents Court, the Court of Appeal and the Supreme Court, he has represented clients in European Patent Office opposition proceedings, and advises on patent litigation strategies, freedom to operate, and patent term extensions.